DSC_1326, originally uploaded by The Cay. She has been a Post Production Machine. 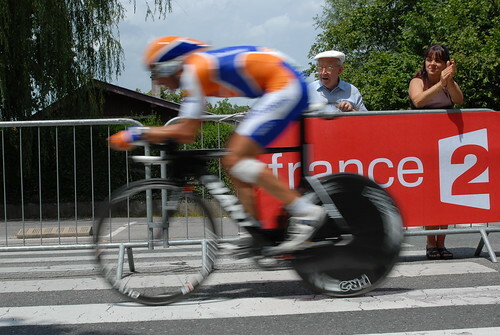 Stage 18 Time Trial of the Tour De France 2009 in Annecy, France pics are here. We visited Annecy back in 1991 as recent college grads and it was nice to return. I found out this past week that Cay's family had also been there way back in 1975 as well. What a beautiful city. This page contains a single entry by Nigel published on July 31, 2009 2:34 PM. Three More Sets of Cay's Pics Are Online was the previous entry in this blog. Why District 9 Disappointed Me (Spoiler Alert) is the next entry in this blog.